This guide will teach you how to create your own keyboard shortcuts in Windows 10. You can create a shortcut for every program you have installed. Windows usually comes with already made key combinations known as Hotkeys, which represent keyboard shortcuts to different windows functions. These Hotkeys are pre-set and their idea is to make it easy to access some frequently used settings or specific tasks with a press of a key or two, or a set combination of them. Actions like “Cut”, “Paste”, “Copy” and others can really be handy to perform, while your fingers are already on the keyboard, instead of jumping to the mouse and trying to click on itsy-bitsy icons or little scroll bars and buttons. For those who are used to running programs on keyboard shortcuts, it is way more convenient, too. But what if you can’t remember the pre-set Hotkeys or have your own preference of key combinations that are more comfortable for you to use? Can you customize them? Yes! And this is what we are going to show you in this guide. If you have some programs that you often run, such as your browser, your music player or others, and you wish to make them open by just the press of a couple of keys, here is how this can happen. 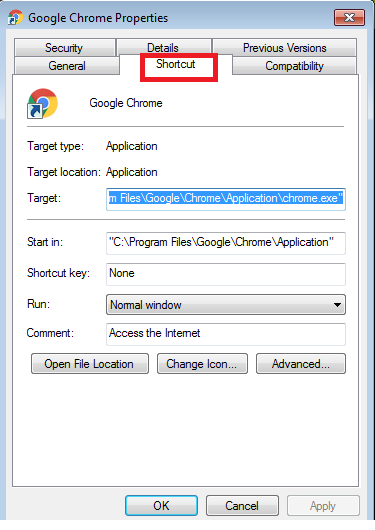 First, navigate to the Shortcut of a program on your desktop. Then, right-click on it to open the menu. 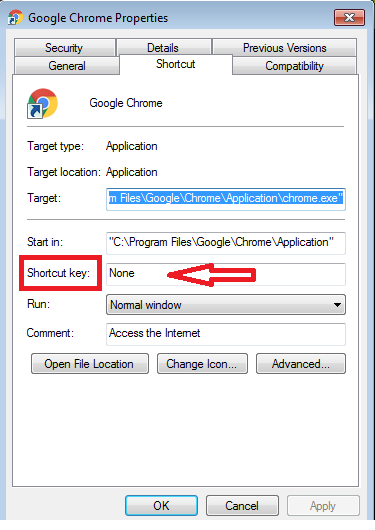 A window will open, where you need to click on the “Shortcut” section. Simply edit the box and type your own favorite shortcut key combination. Click “Apply” and test the new Hotkey. Here are some more tips on how to create keyboard shortkeys in Windows 10. Windows will automatically add the ALT key to the combination, if you hold the CTRL key and type a letter, number, or Function Key. Windows will automatically add the CTRL key to the combination if you hold the ALT key and type a letter, number, or Function Key. CTRL, ALT, and SHIFT keys may also be used in combination with a letter, number, or Function Key. It is good to know that if you have been using another keyboard Hotkey combination, the moment you type the new one, it will override your previous combination. This means that the program will no longer open when using the old combination of keystrokes and will open only if you press the new one. Was this information helpful? Do you have some tips on how to remember keyboard shortcuts? Tell us what you think or share with us your favorite programs and Hotkey combinations.